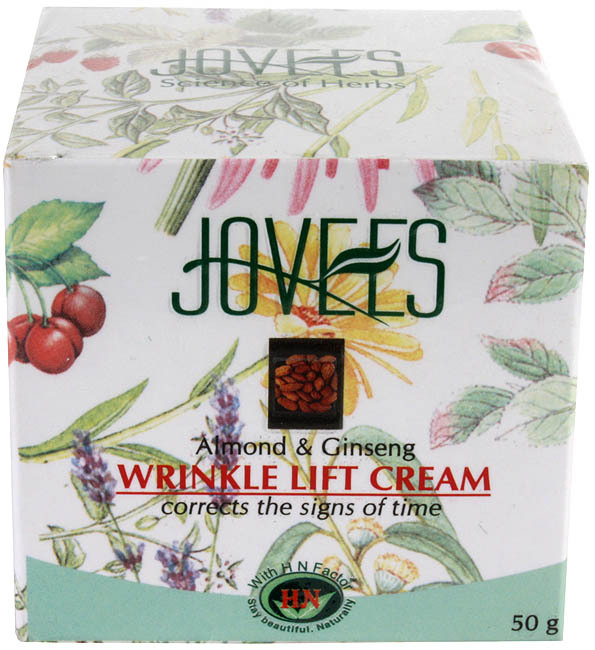 Jovees advanced Wrinkle lift cream contains almond, ginseng, honey, vitamin E and other powerful herbal extracts that will help to accelerate the cell renewal process minimize appearance of fine lines & wrinkles and improve skin tone. It also helps to improve skin’s elasticity to give it a supple, clear and younger look. Method of use: Wash face preferably with Jovees strawberry face wash & pat dry. Apply Jovees Wrinkle Lift Cream in the morning and evening all over face and neck using light circular strokes with finger tips. Leave on. Active ingredients: Almond, Ginseng, Olive & Alchimilla. For normal to dry and dry skin.